Plane with 178 passengers forced to return to Israel after experiencing engine trouble. A Wizz Air flight on Monday morning from Tel Aviv to Latvia had to make an emergency landing back to Ben Gurion International Airport shortly after takeoff. 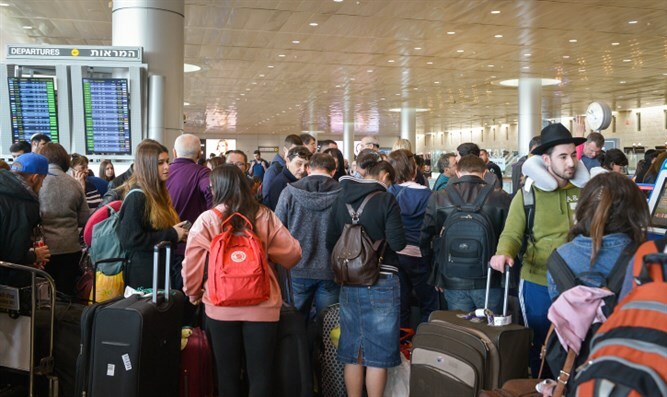 According to the pilot, the engine was experiencing trouble while the airplane was over the Mediterranean Sea, and subsequently, a level 2 emergency was declared at Ben Gurion airport. As the flight was on its return, a number of ambulances from Tel Aviv and several other municipalities nearby were placed on standby. After the plane landed, the 178 passengers on board the flight were met with a number of firefighting crews, emergency personnel and members of Magen David Adom. Luckily, there were no immediately reported injuries on the flight.